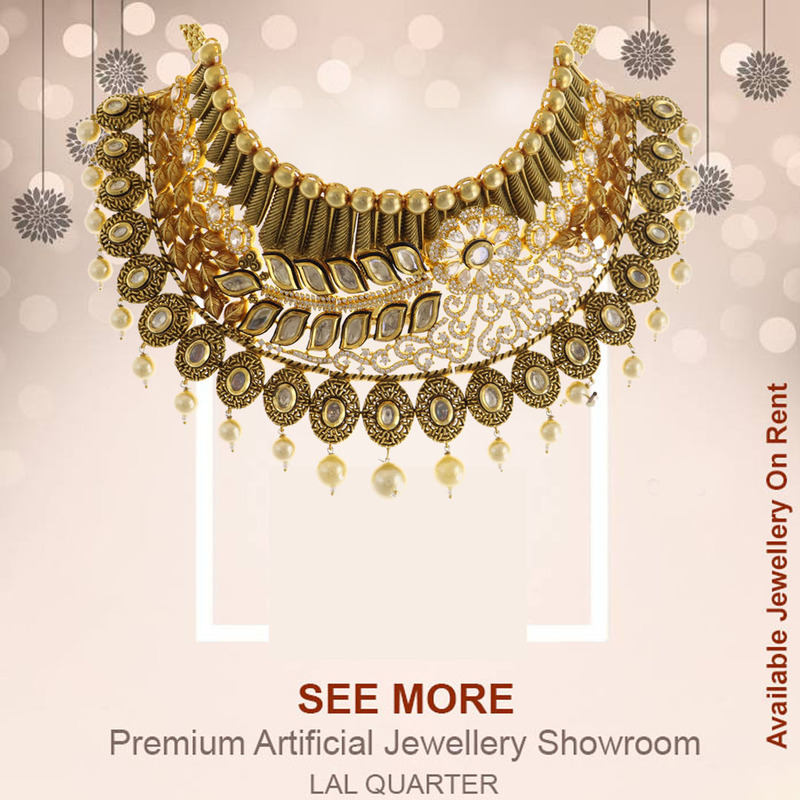 Premium & Exclusive Collection of Jewellery On rent. 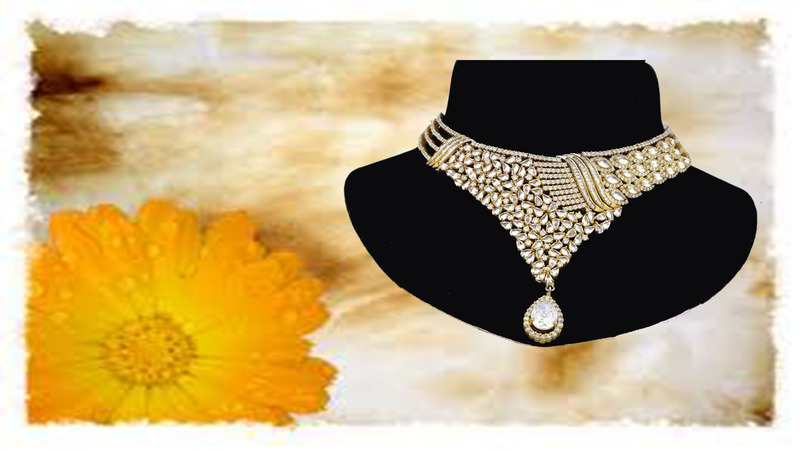 A brilliant display of beauty best describes this beaming and terrific symbol of perfection. 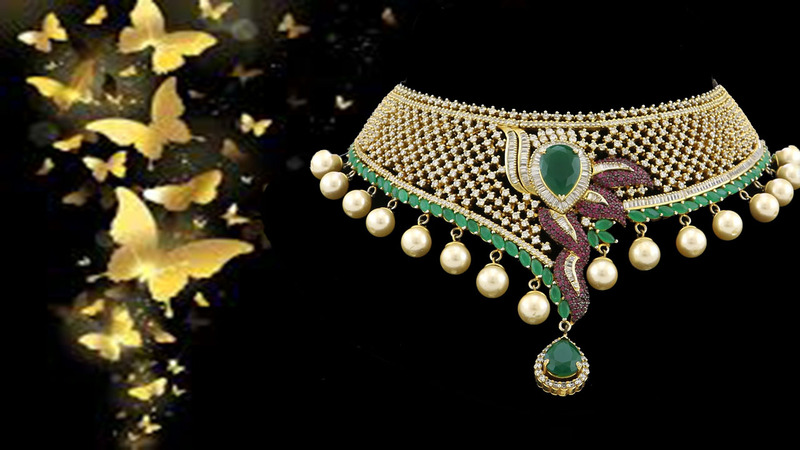 Be ready to be the glistening and glittering star of the night. 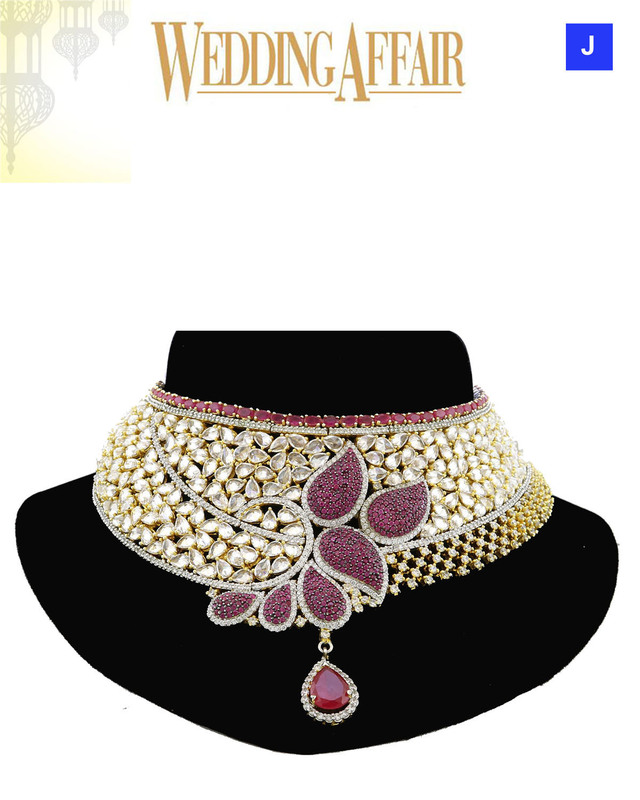 Take the talk of fashion to another level with this beautifull designed Chowker / Necklace crafted with pure american diamond and 18K Gold Plating. Its time to get accustomed to compliments. 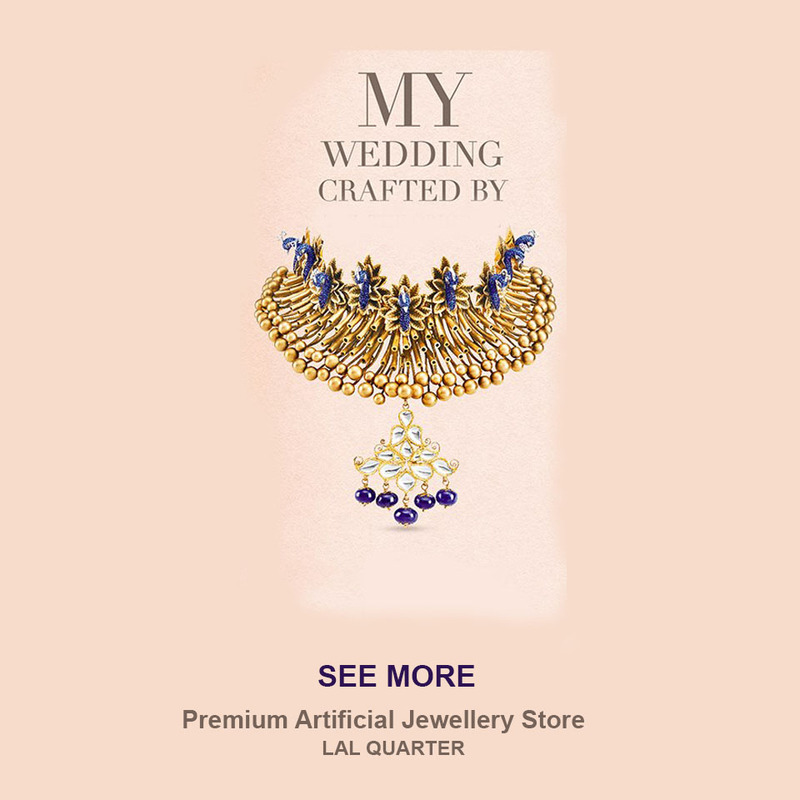 See More - Lal Quarter presents a breath taking work of art. 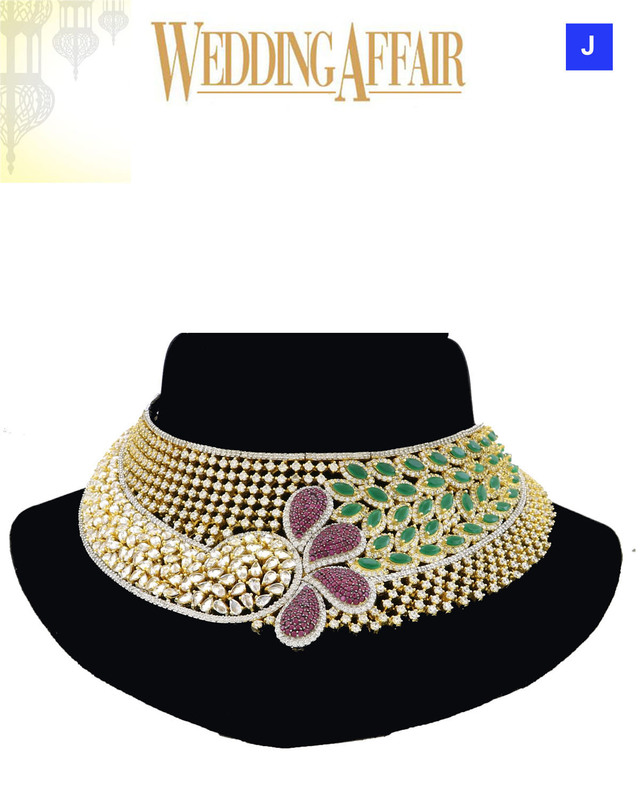 Escalate your luxury collection with this piece of beauty. 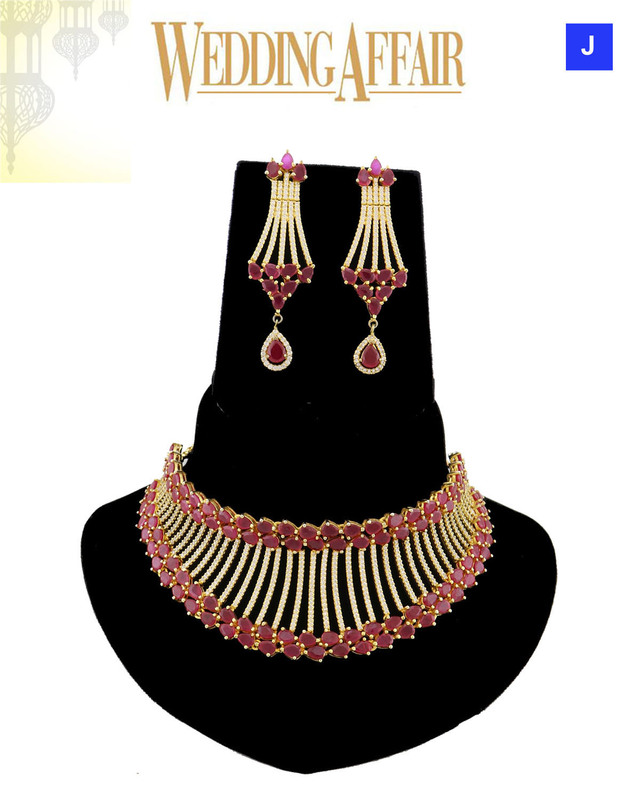 Exquisite design with floral embellishments complete the look of this beautiful bridal set chowker. Make the right fashion statement. 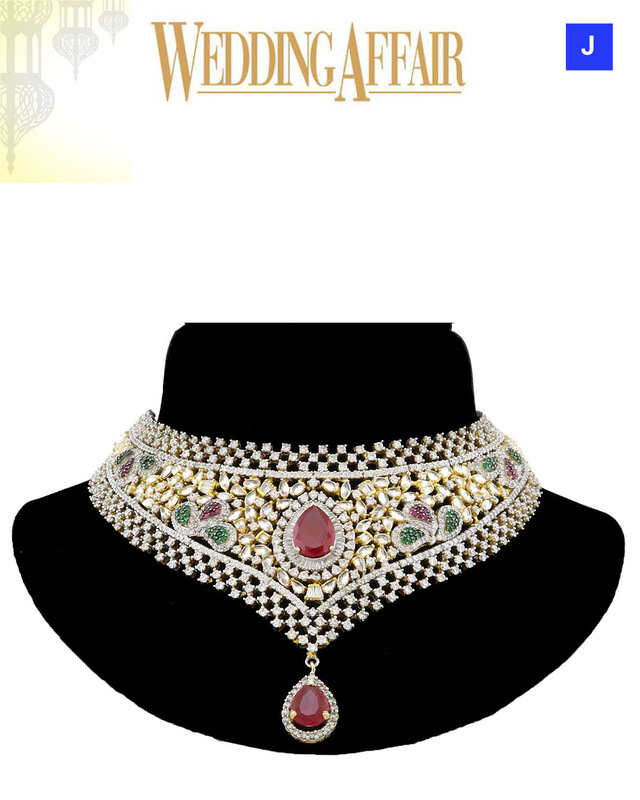 Go traditional and contemporary all the way with this stunning Chowker. 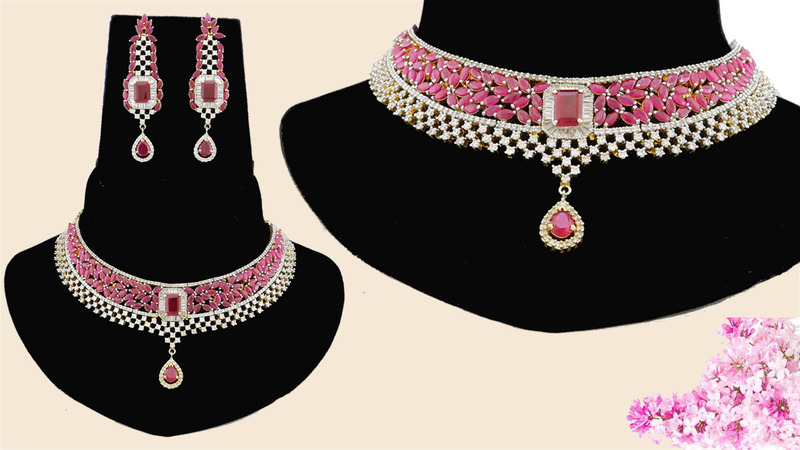 This bridal jewellery set with a unique pattern of stones is flawlessly crafted for the most important day of any woman’s life. The taste and class in each and every stroke defines the quality of our products. 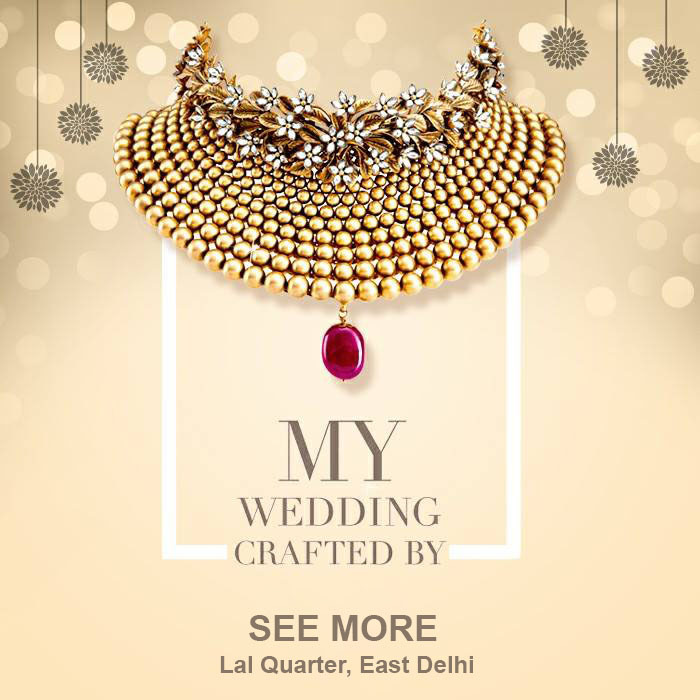 Make your big day special with the exquisite design. 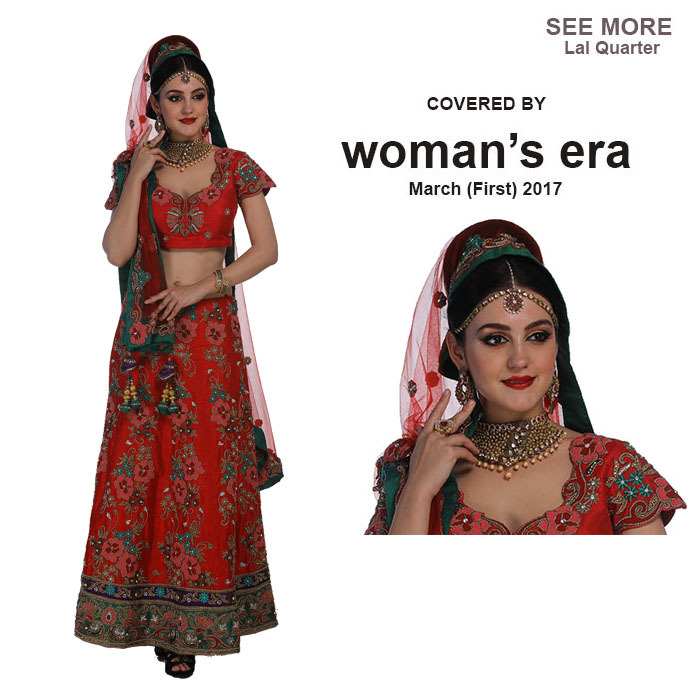 The traditional look and intricate craftsmanship will win you over. 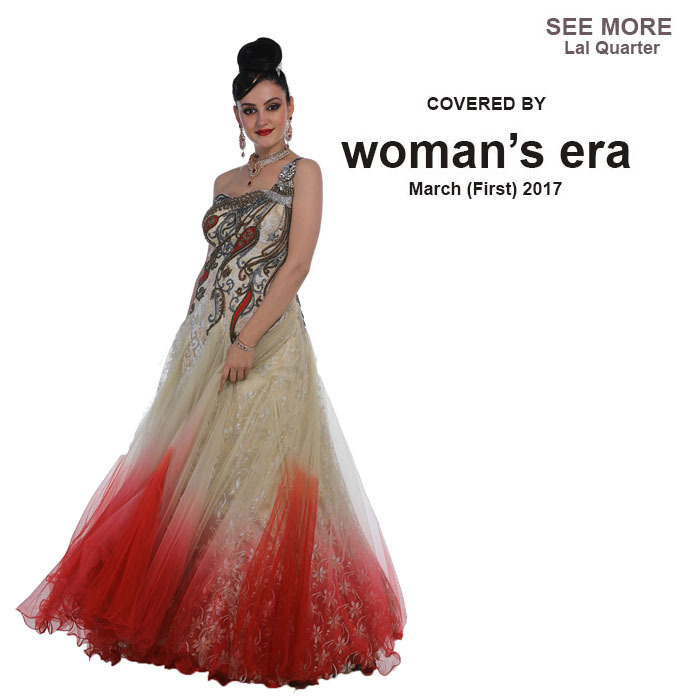 Exclusively designed for the timeless beauty. 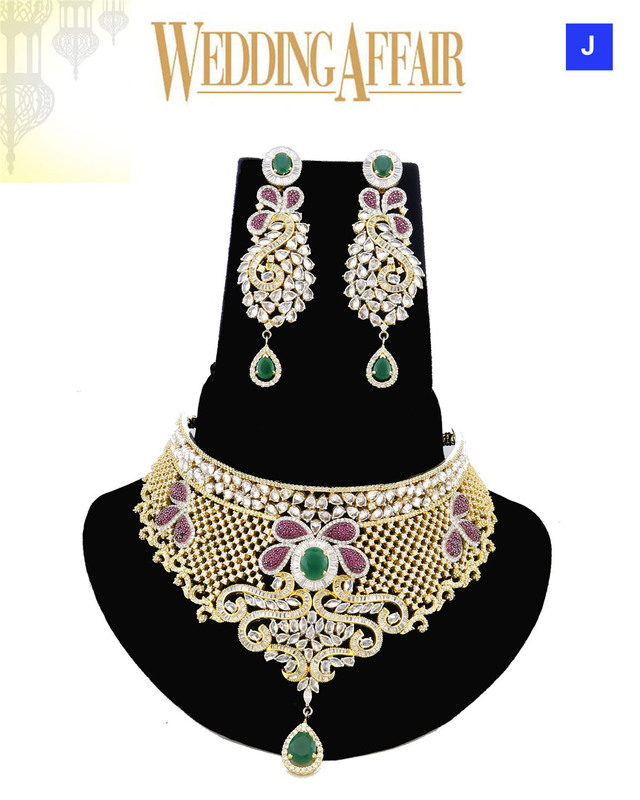 Precious stones beautifully inlayed with floral inspirations, a stunning bridal jewellery set that will make any woman feel like an eternal beauty. 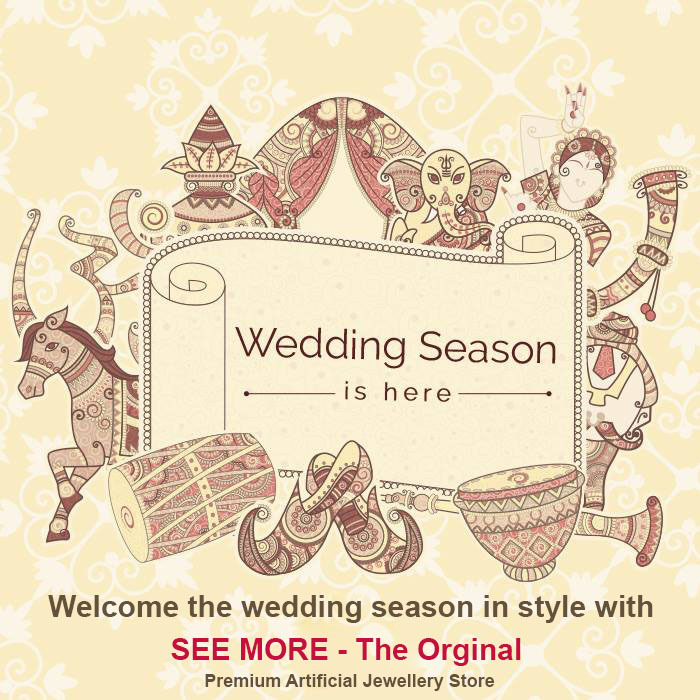 Your wedding is YOUR day. 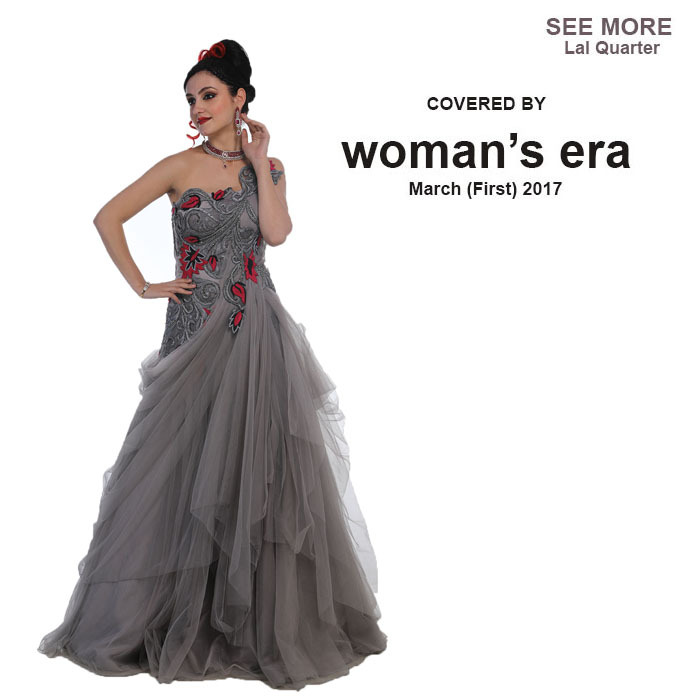 Enjoy your moment while we make you dazzle. 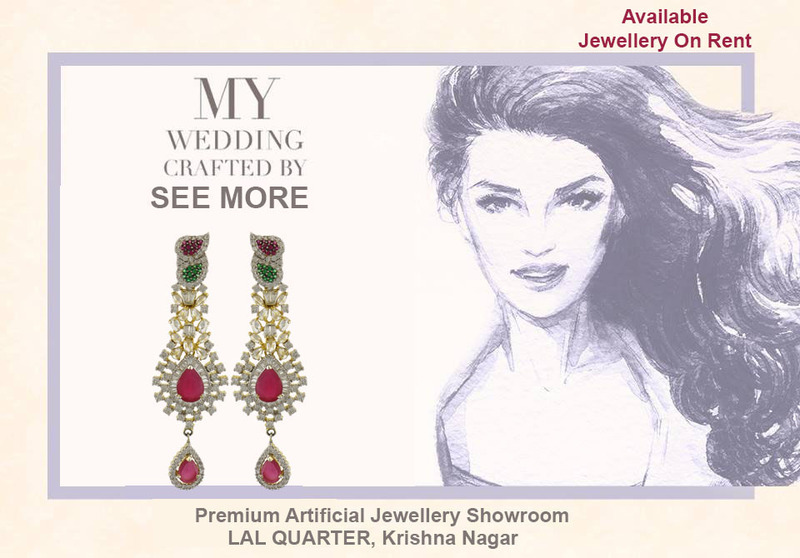 This wedding season, See More -Lal Quarter presents our gorgeous wedding collection, crafted to make you shine. 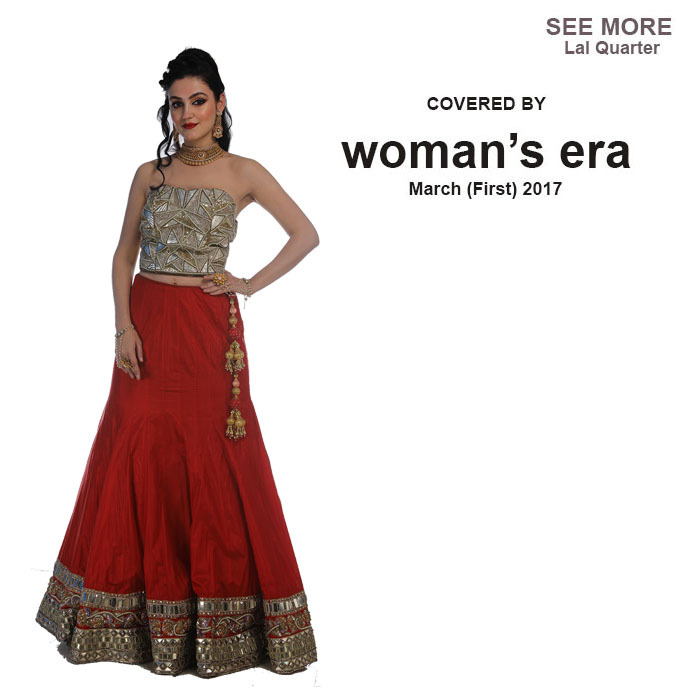 Fall in love with its amazing detailing and asymmetric dew drop shape. 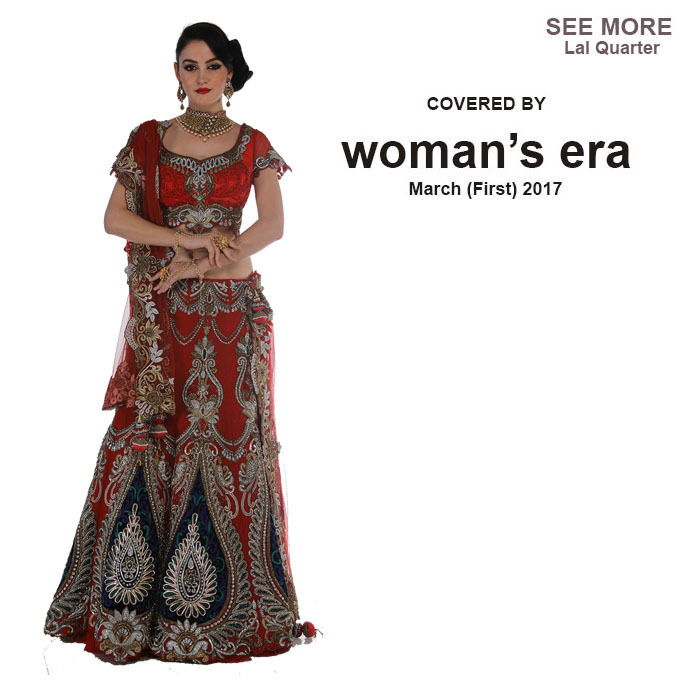 Tell her you love her with this highly lovable design by See More - Lal Quarter. 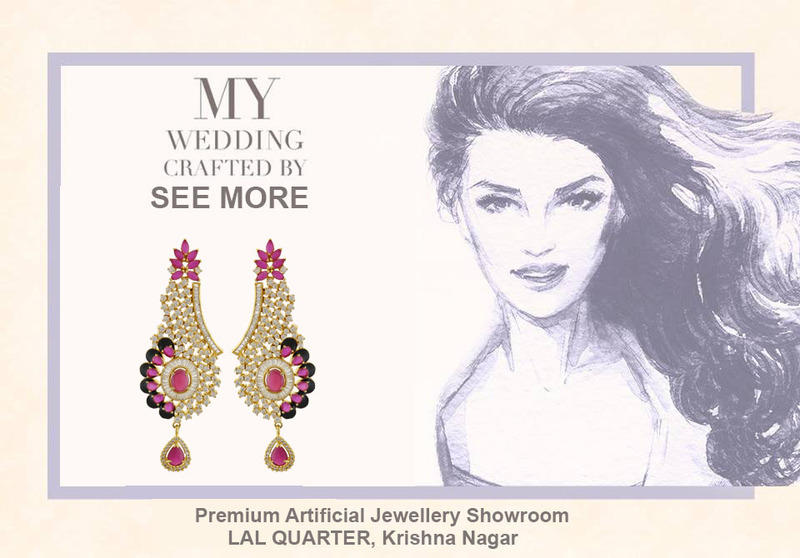 This superbly sculpted design by See More - Lal Quarter is the ultimate choice for a beautiful evening. Soothing pleasure is guaranteed. A beautiful reason for self-indulgence is here. 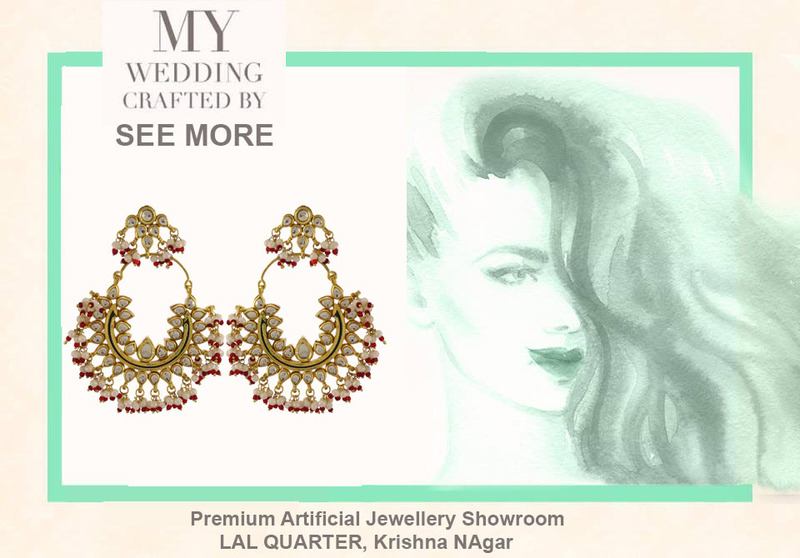 This bridal jewellery set is bound to spawn love in the eyes of anyone who sees it. 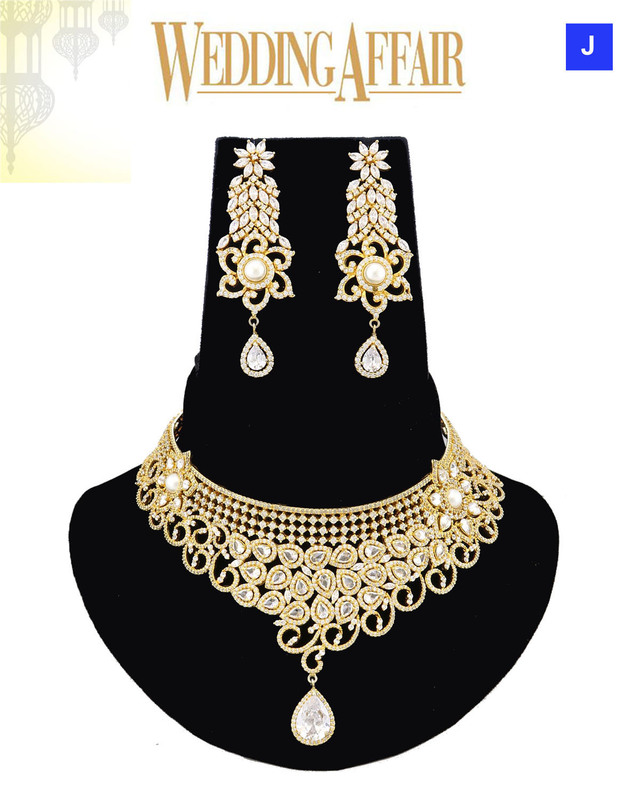 Add class to your sense of fashion by adorning this beautiful set of wedding bridal jewelery which will leave an everlasting impression on anyone who lays eyes upon it. 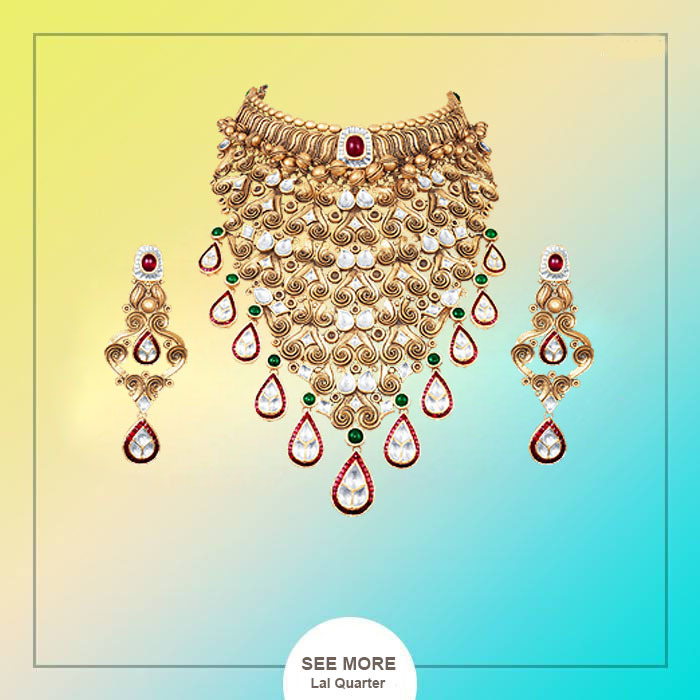 Let romance blossom all over again between you and your partner with these resplendent kundan earrings. 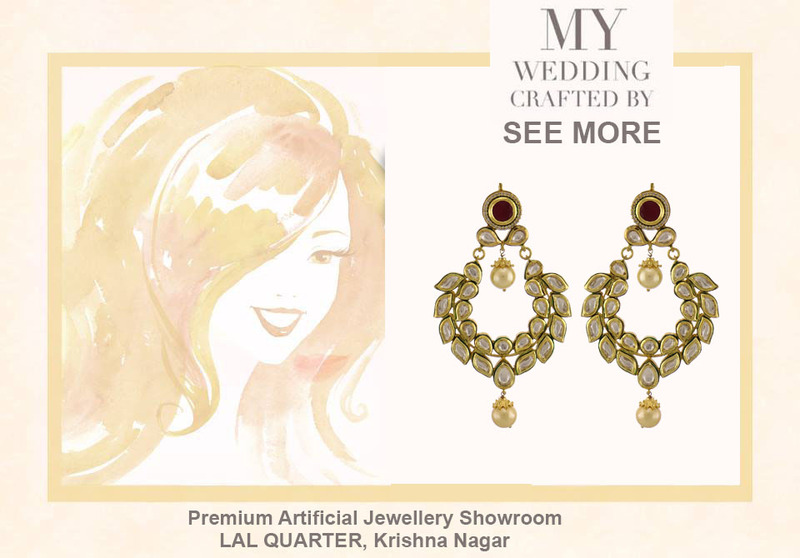 The captivating design of this pair of kundan earrings is bound to boost your confidence as you charm everyone with its simplicity and class. 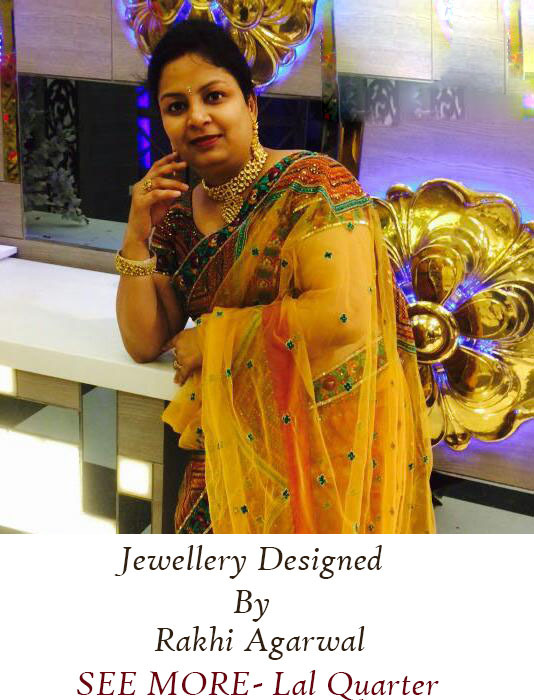 Switch to your vivacious side with this splendid and divine piece of kundan bridal jewellery with a design that is desired by everyone. 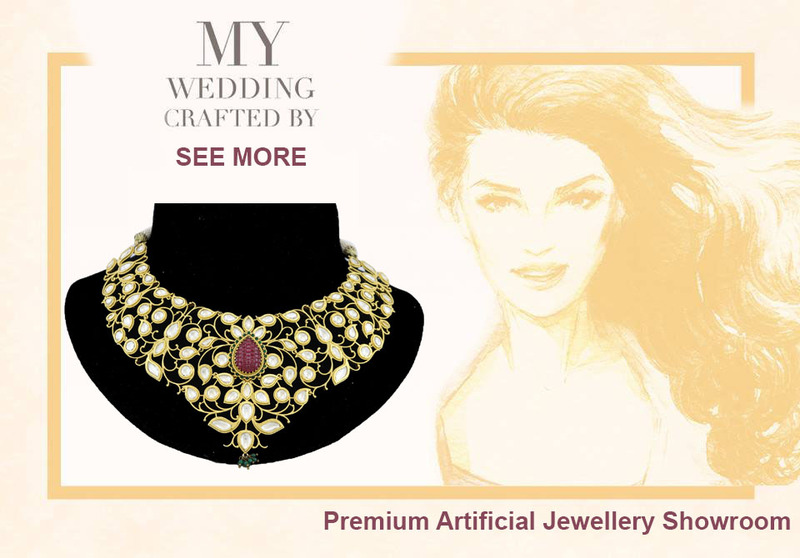 Let this vintage piece of bridal jewellery blow your mind with its exaggerated design that oozes confidence and elegance. 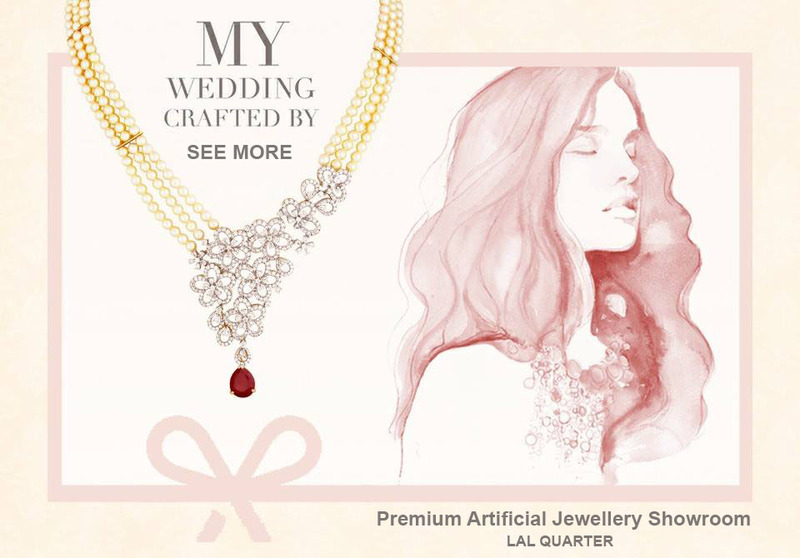 For women of style, this scintillating bridal jewellery is the perfect compliment to your lovely charm. You become an epitome of inspiration for others. 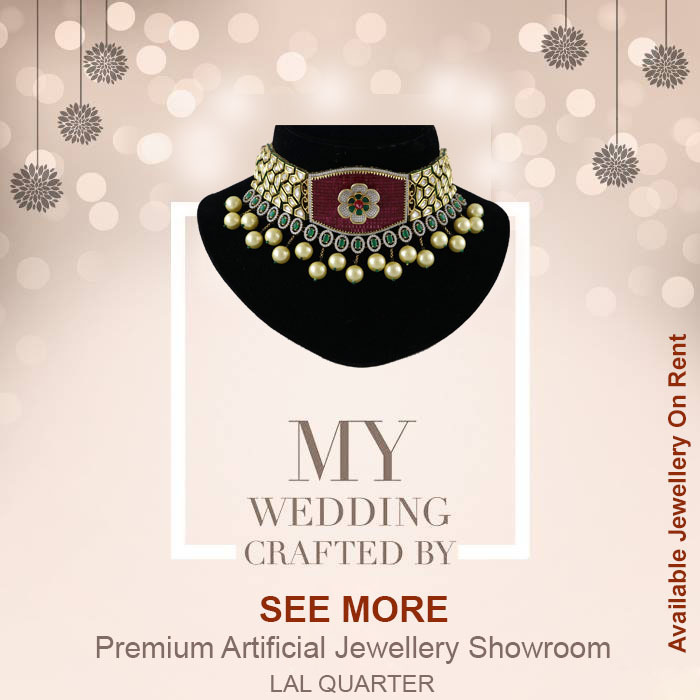 See More - Lal Quarter Presents bridal jewellery with a unique blend of vintage and modern design, the design stands out, making heads turn. 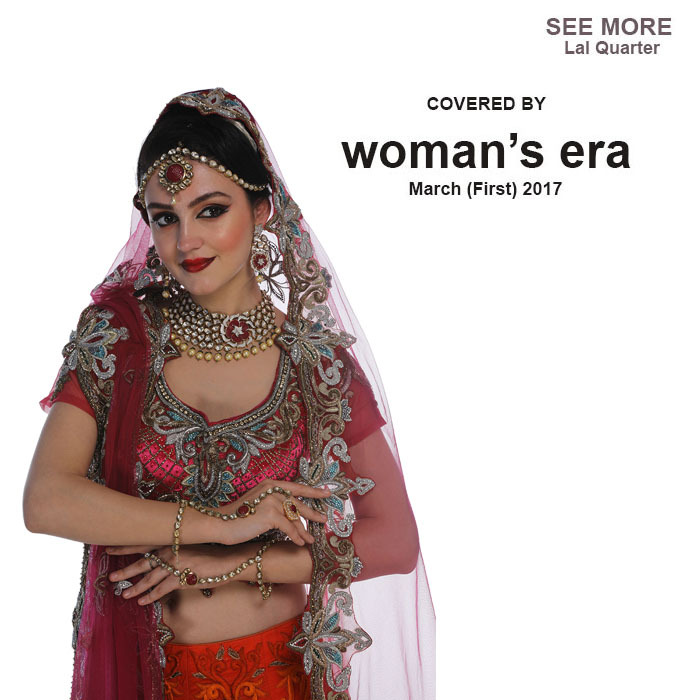 Thrilled that Woman's era magazine featured our nature inspired bridal jewellery in the March'2017 (First) edition. The most important usage of the information collected from you is your email which is used to inform you that your order has been confirmed/executed/booked. 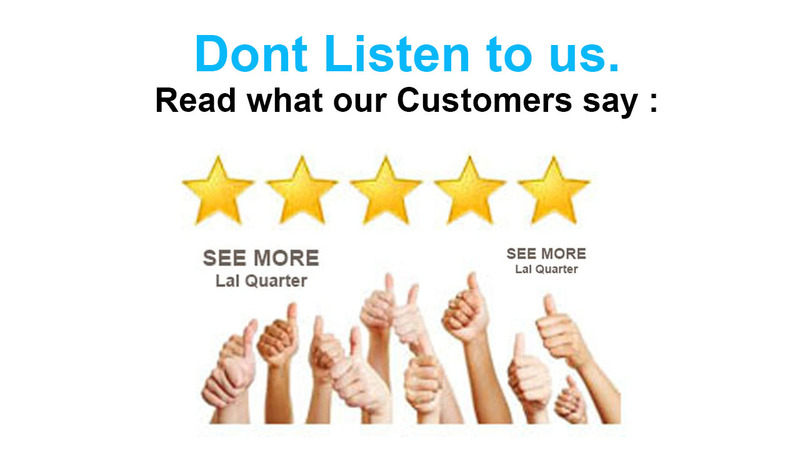 Your email is also used to inform you for your customer service related queries and for any newsletters sent. 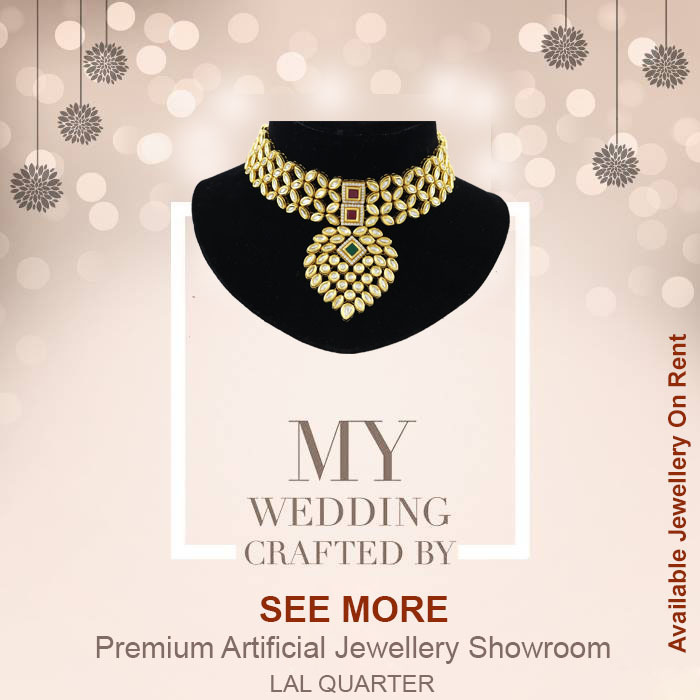 All other information collected is confidentially stored at Bridal Jewellery on Rent and will not be disclosed unless needed as per the requirement of the law authorities or in case of any disputes.